When it comes to your plumbing, you shouldn’t always believe what you hear. Did you know that there are plenty of plumbing myths out there? Which ones have you heard, and which ones are true? When it comes to your plumbing, you shouldn’t always believe what you hear. 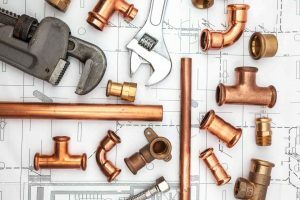 Let’s have some fun and find out the truth about these plumbing myths. If you can’t stand the smell of bleach, using bleach tablets might not be the best idea. Over time, your toilet will definitely become smelly, primarily because of what we use them for, and when their owners are less than eager to clean them on a regular basis. But when you overuse bleach tablets, you could run the risk of ruining your toilet. Over the course of six months or so, the interior components of your toilet could be destroyed by the effects of the bleach. Whether it’s in the kitchen or in the bathroom, sinks can get stinky too. The smell of fresh citrus can be enjoyable, but would you believe that lemons can improve the smell coming from your sink? However, we recommend you only use lemons on your kitchen sink, and only if your garbage disposal is up to the task of dealing with them. If you’re not sure about it, you’ll probably be better off using some vinegar and baking soda instead. Yes, flushable wipes are flushable. But don’t rely on them too heavily, because they could cause your toilet to clog or back up. Part of the problem is that they aren’t as biodegradable as you might think. So again, use them, but don’t overdo it. Does your faucet seem to have a slow leak? While you might dismiss this, and not consider it a problem, you shouldn’t. Even a slow leak will make your water bill skyrocket, not to mention become a pointless waste of water and cause damage to both your faucet and other parts of your plumbing. This entry was posted on Friday, December 15th, 2017 at 6:38 pm. Both comments and pings are currently closed.